celebrate the beginning of the season by joining us for a weekend full of adventure, community, and growth. Intermediate instruction for climbers wanting to climb in the 5.6-5.9 range (best for those who have never climbed outside). Also best for those wanting to practice technical skills. 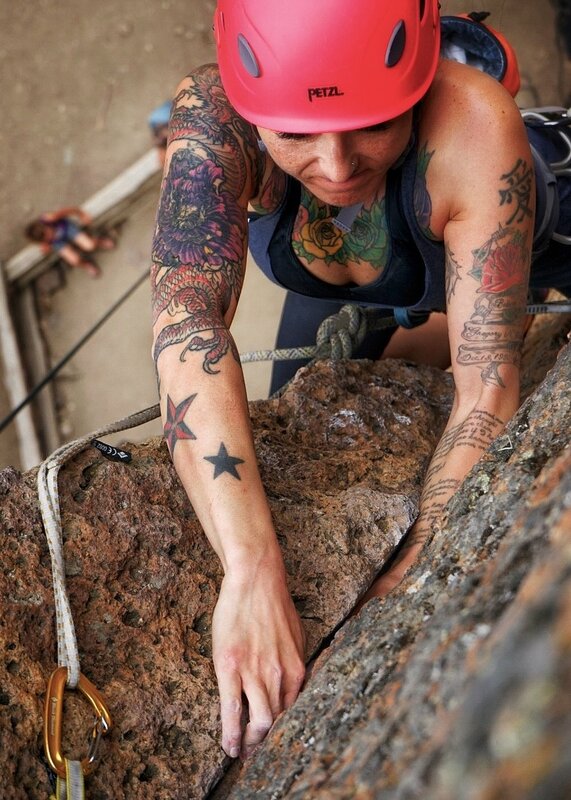 Over the weekend you will have the opportunity to climb with one of our professional rock climbing instructors. 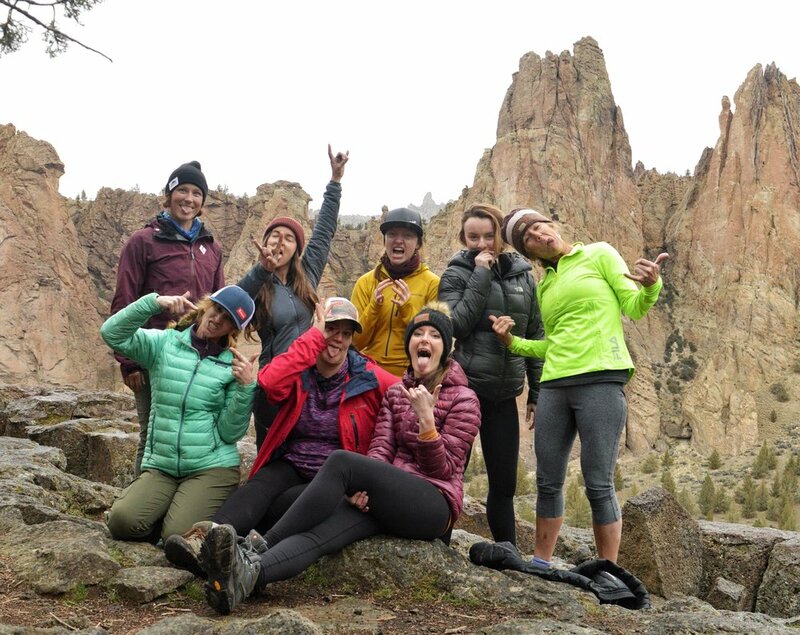 All trained by the American Mountain Guide Association, our team of instructors are sure to make the day at Smith Rock State Park enjoyable - regardless your level of experience. To learn more about our instructors click here. Yoga will be offered by SMM guide Katie Paulson. Katie has been practicing yoga for 12 years. In 2015 she went to Costa Rica to take a 200 hour instructor course and has been teaching ever since. Her favorite style is creative vinyasa flow with some power thrown in for good measure. She loves doing yoga outside, and exploring lighthearted movement in any way possible. 7:00pm-10:00pm Introductions, fire, and yard games at the Bunk and Brew House. Includes guiding both days with our SMM guides, 2 breakfasts, 1 dinner, 1 ticket to movie screening, access to nighttime activities, 2 yoga classes, accommodation for two nights at Bunk and Brew House (price varies depending on shared or private room), transportation to and from Smith Rock. Airport pickup (Redmond/Bend) available for an additional fee. Includes guiding for either Saturday or Sunday with our SMM guides, 2 breakfasts, 1 dinner, 1 ticket to movie screening, access to nighttime activities, 2 yoga classes, accommodation for two nights at Bunk and Brew House (price varies depending on shared or private room), transportation to and from Smith Rock. Airport pickup (Redmond/Bend) available for an additional fee.